Skills and Abilities: Basic military and EMT equivalent training. Powers: Neuroprosthetic bionic implants grant Deathlok superhuman physical abilities and computer-enhanced sense and reflexes. His computer-augmented mind is linked to a remote CPU via a high-tech remote networking system allowing Biotek to see what Deathlok sees and control his actions, as well as granting Deathlok advanced scanning, capacity, mental skills and an extensive database. His artificial left eye has telescopic, microscopic and infrared vision. His already formidable combat skills and advanced EMT training are further computer-augmented. Hayes entire right leg is fiber composite prosthetic (Avengers Now! #1, 2015). Equipment: Deathlok wears a woven metal-mesh costume and his weapons include energy blasters, missile launchers, assault rifles and sniper rifles. He carries neurotransmitter suppressant medicine to induce selective amnesia (Avengers Now! #1, 2015). 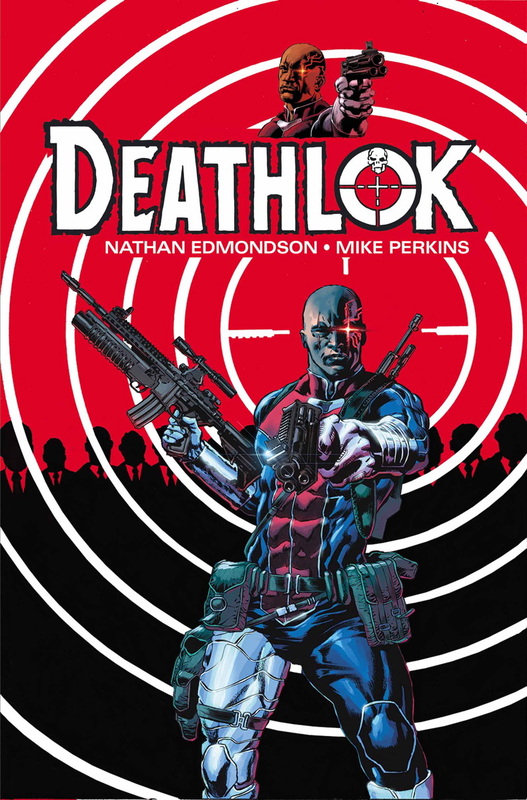 Henry Hayes is a medic who travels to war zones to heal the wounded, he has no idea that when he’s in the field, he’s activated by a mysterious group and becomes the ultimate weapon of assassination and war: DEATHLOK. In his first appearance he meets a man while catching a subway train in New York. A man on the scene recognizes him as the assassin Deathlok and tells him of a series of jobs he’s conducted across the globe. Henry has no recollection of any of this though. Altered to the SHIELD agents words his handlers handle the Deathlok protocol within him resulting in him killing the agent in cold blood in the bathroom before returning to catch his train with no memory of doing the deed [Original Sins #1, 2014].